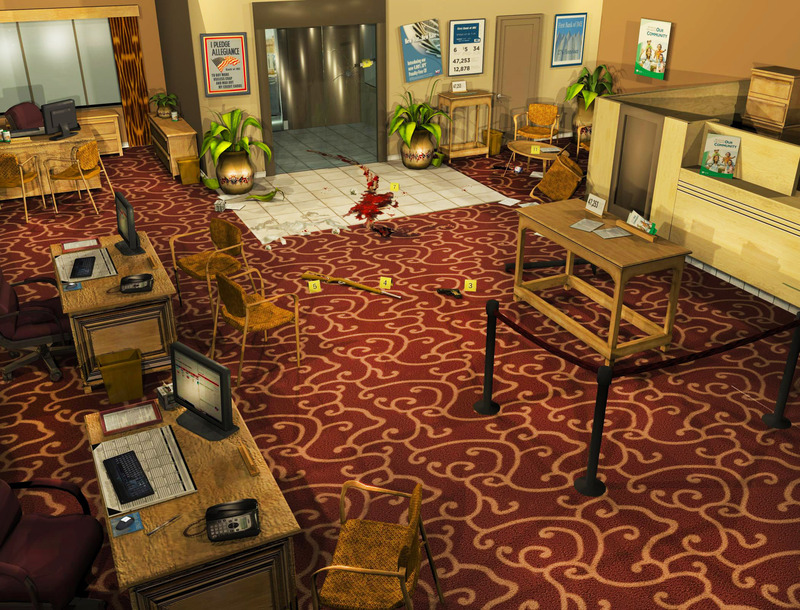 3D Crime Scene, Bank Shooting Reconstruction. 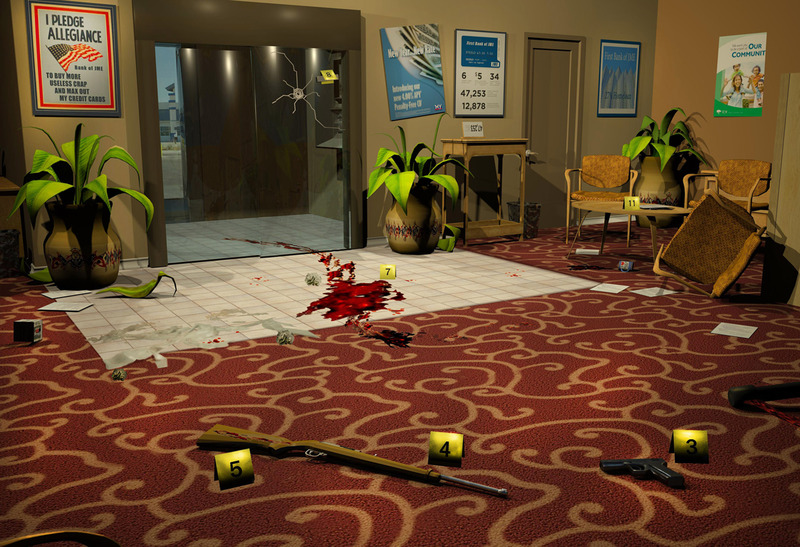 This award winning, fictional crime scene reconstruction is based on similar and true events. It does not depict any actual persons, places, or incidents. This is a detail shot of a full scene created for educational purposes. Say “oooh aaah”. This is an overview of the interior of the bank. Next Post3D Texturing and Lighting. Reconstruction Outdoor Crime Scene. Hahaha….I love you mom. By biggest fan. That’s very cool. If I were on a jury, an illustration, such as what you have created, would help to convey what transpired much more efficiently than just relying on a greater amount of testimony. Nice job! We want more, is there a sequel? Jamie, great job. Still getting great comments on the caricature you did for me. No kidding? I’m glad to hear it. Thank you for letting me know. You used to be a cop? Tough but honorable. Good for you.